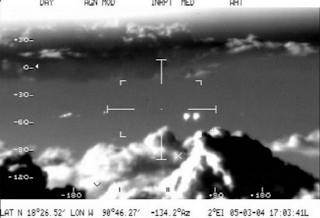 On May 13, 2004 Jaime Maussan (right photo) released his interview of Mexican Air Force pilots showing an infrared video footage from a military air patrol on March 5, 2004 against drug smuggling, that shows at least 11 very hot “spheres” moving irregularly with apparent great speed. Location: Over Campeche state, Mexico. The objects could not be seen with the naked eye, neither the crew on board nor ground personnel confirmed any radar contact with the objects in question. The crew did however pick up an earlier radar contact of an object moving at 60 mph which was later described as a lonely truck on the highway below which has been located to the front of the two engine Merlin C26A aircraft whereas the infrared targets were picked up through a dome mounted IR-system a little later at abt. -130° azimuth relative to the aircraft’s flight direction in its 8 o’clock position. 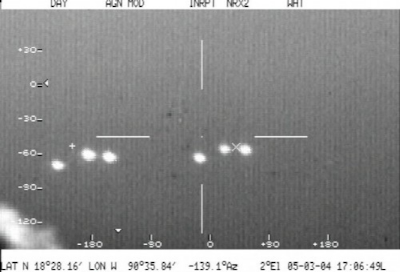 Frame from FLIR infrared video camera of objects flying near plane. Mexican Air Force pilots filmed 11 unidentified flying objects in the skies over southern Campeche state in Mexico, a Mexican Defense Department spokesman confirmed Tuesday. A videotape was made widely available to the news media. MEXICO CITY (AP) – Mexican Air Force pilots filmed 11 unidentified flying objects in the skies over southern Campeche state, a Defense Department spokesman confirmed Tuesday. A videotape made widely available to the news media on Tuesday shows the bright objects, some sharp points of light and others like large headlights, moving rapidly in what appears to be a late-evening sky. The lights were filmed on March 5 by pilots using infrared equipment. They appeared to be flying at an altitude of about 3,500 meters (11,480 feet), and allegedly surrounded the Air Force jet as it conducted routine anti-drug trafficking vigilance in Campeche. Only three of the objects showed up on the plane’s radar. “Was I afraid? Yes. A little afraid because we were facing something that had never happened before,” said radar operator Lt. German Marin in a taped interview made public Tuesday. “I couldn’t say what it was … but I think they’re completely real,” added Lt. Mario Adrian Vazquez, the infrared equipment operator. Vazquez insisted that there was no way to alter the recorded images. When the jets stopped following the objects, they disappeared, he said. Maussan said Secretary of Defense Gen. Ricardo Vega Garcia gave him the video on April 22. Following yesterday’s news story about the sighting of eleven UFOs by a Mexican Military aircraft, the Mexican Department of Defense – under Secretary of Defense General Clemente Vega Garcia, commander of all armed forces in the country – have taken the unprecedented step of publically confirming the incident. The press conference took place at the Hotel Sevilla Palace in Mexico city and international media representatives were invited. THE FACTS: On April 20, 2004 Jaime Maussan was contacted by a high officer of the Department of Defense to have a private meeting and discuss a subject of a high relevant matter. The next day Maussan met General Clemente Vega Garcia, Secretary of Defense and his major staff and was informed about an incident that took place on March 5, 2004 on the aerial space of Ciudad del Carmen, Campeche where an Air Force Merlín C26A Bimotor airplane was doing a routine flight to detect a smuggling drug airplane during an ant-narcotics operation. The Merlin C26A was equipped with a high tech advanced digital equipment to register and record all the activities during the operation. Powerful sensor detectors like a FLIR STAR ZAPPHIR II and a RADAR AN/PS 143 BRAVO VICTOR 3 were being used by qualified personal aboard the airplane and all the operation was being recorded both in normal and infrared mode. The airplane was under the command of Mayor Magdaleno Jasso Núñez. The FLIR operator was Lt. Mario Adrián Vázquez and the RADAR operator Lt. German Ramirez, all of them members of the 501 Aerial Squadron. This airplane is programmed only for surveillance and detection procedures, not for interception or combat manouvres. Their duty is to detect and identify drug dealers flights and then immediately report them to the base where combat planes are scrambled to intercept those narcotics smugglers. At approximately 17:00 PM the Merlin C26A detected an unknown traffic at 10,500 feet over Ciudad del Carmen, Campeche airspace and according to the protocol and suspecting a drug dealer airplane Mayor Magdaleno Jasso made a maneuver to approach the unidentified traffic at certain range to get a close look and record the target with their equipment. At the same time Mayor Jasso reported by radio to the base that a possible suspect was detected requesting the interceptor planes to be in alert condition. The RADAR AN/PS 143 BRAVO VICTOR 3 was detecting the unknown traffic and the FLIR STAR ZAPPHIR II was recording the object in infrared. As the Merlin C26A tried to approach the unknown traffic to make a visual identification it suddenly in a surprising maneuver escaped flying away at tremendous speed. By this time Mayor Jasso tried to persecute the target but it was very fast. All this was being recorded by the FLAIR and also the radio conversations with the base describing the unexpected maneuver of the unknown. However the C26A still have not made visual contact with the unknown object. Just some moments passed when suddenly the unknown object returned and began following the Merlin C26A in a surprising situation. This was detected by the RADAR and the FLIR while the personal aboard were trying to make visual contact of the unidentified traffic now following them. In seconds the equipment detected now not only one but two traffics following them. The images in both RADAR and the FLIR were clear and unmistakable. But both pilot and personal still couldn’t have visual contact with these two traffics following them adding a great suspense to this disconcerting situation. Mayor Magdaleno Jasso reported to the base the incident that was taking place giving detail of all the information registered by the equipment while keep trying to make visual contact of the unknowns. The FLIR kept recording in infrared every movement made by the two unknown objects that seemed to be keeping their distance from the C26A but still following it. The personal aboard the Merlin C26A were confused and disconcerted seeing the images on the FLIR and the RADAR asking themselves what was going on with this situation. But the stressing moment that the C26A crew were passing through was just the beginning of something more dramatic that will turn their undesirable experience into a real nightmare. Some minutes passed while the Mexican Air Force Merlin C26A crew continued making maneuvers to have a visual contact of the unknowns because despite both RADAR and FLIR were showing perfectly clear both unidentified objects for unexplained reasons there was not a visual contact even that the objects by this time were at close range. It was during this round and round maneuvers to identify these two objects that something amazing happened. In a matter of seconds more unknown objects arrived to the scene and the disconcert of the C26A crew was total. The RADAR and the FLIR detected immediately the presence of nine new objects of the same size and characteristics, unknown objects that arrived to the scene surprisingly like coming from nowhere. Now the situation has entered into a high level of danger so Mayor Magdaleno Jasso reported by radio to the base this new situation requesting instructions. But the most bizarre thing was that even though there were eleven unknown objects close to them, still the crew couldn’t see them, no visual contact with the unknowns was possible for some reason never experienced before by these high trained men. However the high tech sophisticated equipment and sensors were not lying, there were eleven targets outside them with unpredictable intentions. At the middle of a complete confusion and disconcert among the C26A crew the unknown objects suddenly made a maneuver surrounding the Mexican Air Force airplane in a circle at close range. The RADAR and FLIR presented an image of an eleven objects near by in a circle formation around the Merlin C26A. The situation turned out of control. Mayor Magdaleno Jasso reported to the base that the C26A situation was now in red alert, surrounded by eleven mysterious round shaped objects camouflaged with a certain unknown advanced technology that avoid any visual contact of them. However Mayor Jasso kept the calm as well as the crew who were working fast measuring and recording every detail of this unique incident conscientious of their duty as military and trained men. Confronting this situation surrounded by unidentified objects in an unpredictable ending Mayor Magdaleno Jasso took the decision of turning out all the airplane lights and wait to see what happened. Moments of high suspense lived by the crew while the FLIR was recording the images of those bright objects even that visual contact was not possible, moments of silence and uncertainty. The C26A crew kept calmed doing their duty, documenting every moment of the strange incident while Mayor Jasso continued in contact with the base. After some stressing minutes the eleven objects disappeared giving an end to the strange experience that these members of the 501 Aerial Squadron just lived. The Merlin C26A returned safe to the Air Force Base and Mayor Magdaleno Jasso prepared a complete report of the incident along with the C26A crew. The Secretary of the Defense took notice of Mayor Jasso’s report and began a full investigation studying and evaluating every element of the case. Statements of the crew, images, lectures, measurements of all the equipment as well as a complete evaluation of the meteorological data . The incident was taken very seriously by the Department of Defense Staff and after several weeks of investigation they decided under the command of General Clemente Vega Garcia to contact researcher and TV journalist Jaime Maussan for a special collaboration in this investigation as an experienced researcher in these matters. On April 22, 2004 General Clemente Vega, Secretary of Defense gave Jaime Maussan a copy of all the tapes and data collected by the Merlin C26A during the incident for study, evaluation and analysis by Maussan’s research team as complement of this investigation and as an external collaborating source trying to establish a definition of the possible motives and consequences of the March 5, 2004 incident. 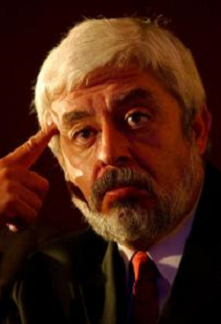 On April 20, 2004, Mexican UFO investigator and television personality Jaime Maussan was summoned by Mexico’s Department of Defense to a private meeting to discuss a matter of national importance. Maussan met with General Clemente Vega Garcia, Secretary of Defense, and other members of his staff. Maussan was informed that on March 5, an extraordinary incident took place in the skies over Ciudad del Carmen, Campeche. A Mexican Air Force Merlin C26A bi-motor airplance was performing routine duties to detect drug smuggling airplanes, in a anti-narcotics operation. The plane had a high-tech FLIR STAR ZAPPHIR II and a RADAR AN/PS 143 BRAVO VICTOR 3, which implements infrared video. 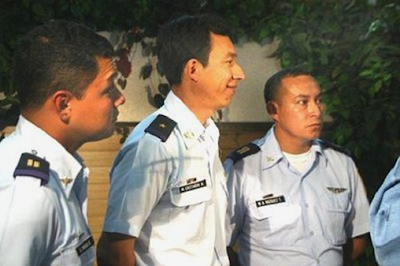 Mayor Magdaleno Jasso Núñez was the commander of the plane, Lt. Mario Adrian Vasquez was FLIR operator, and Lt. German Ramirez was radar operator-all three were members of the 501 Aerial Squadron. The Merlin’s radar was painting the object, and the infrared cameras were filming it. The Merlin attempted to move closer yet for a visual confirmation, but as it did, the unknown target made a surprise maneuver, and flew away at great speed. The entire event was being recorded, and the details were being reported as they occurred to base. Without warning, the unknown object suddenly reappeared, and began following the Merlin. In a moment, the Merlin’s radar was now seeing two objects, but there had still been no visual contact. The crew became alarmed because they could not make a maneuver that would enable a visual confirmation of the unknown objects. In a minute or two, there would be nine more objects , which seemed to come from out of nowhere. In another unexpected move, the eleven unknown objects were now circling the Merlin. Though close enough to see the unknowns, the crew aboard the Merlin stated the objects must have been invisible. After some stressful moments, suddenly the eleven UFOs were gone-nowhere to be seen or recorded on camera. The Merlin returned to the Air Force base, and Jasso prepared a full report on the incident. After the Secretary of the Defense read Jasso’s report, he ordered a full investigation into the incident. On April 22, 2004, General Clemente Vega, Secretary of Defense contacted Maussan and his research team, and turned over all of the tapes and information collected by the Merlin. In a rare move, the Mexican military declared that they were open to discuss and evaluate the sighting of the UFOs without suppressing any information from the public. This collaboration between the military and the general public had its beginnings during the Mexico UFO Wave of 1991. The extraordinary FLIR video of the eleven unknown objects flying over Campeche became news all over the world. UFO investigators were thrilled to finally have solid, undeniable evidence of the existence of UFOs flying over our skies. The UFO video was freely shared over the Internet, and discussed on many UFO web sites, and forums. The debunkers would get in their two-cents worth, claiming that the glowing objects recorded by the camera of the Merlin plane were nothing more than oil field fires bouncing off of the clouds. This explanation has been accepted by some, but many hold to the film as solid proof of UFOs. Mexico Ufo Encounter 11 UFO’s The most famous sighting ever! Original footage. This footage was filmed in 2004 over mexico by military personnel who were looking for drug smugglers flying private planes they thought they had something when this happened, they managed to capture on film this amazing encounter with upto 11 ufo’s whilst flying in there aircraft, this footage has since become very famous and mexico even came out to the public and admitted the story was very true and are now taking the ufo issue very seriously. The footage speaks for itself! Note: All 10 parts are avaliable in this player. Mexican Air Force FLIR&#39;s video lights recorded on march 05, 2004 are not UFO&#39;s.<br /><br />They are now confirmed to be oil well gas flames. 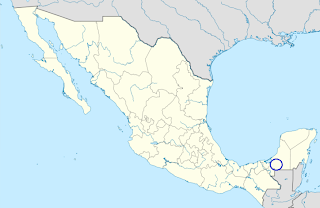 The AN/APS 143 Radar video data is not available and the targets detected could be vehicles on the Yucatan&#39;s peninsula highways.<br /><br />See full investigation and think….<br />http://www.alcione.org/FAM/FLIR_CONCLUSION.html<br /><br />Capt. appealing interpretation. However, it can be seen that some spots do not at all coincide with the gas flames (one of them belongs to the wrong group). How is this possible ? This is one of my favourite sightings. Goood blog, keep up the good work. Alejandro Franz is a men how Hate to Jaime Maussan and made all things to talk bad to him, Alejandro Franz in the old years try to work to Jaime Maussan but not get exit. Is the Trut.